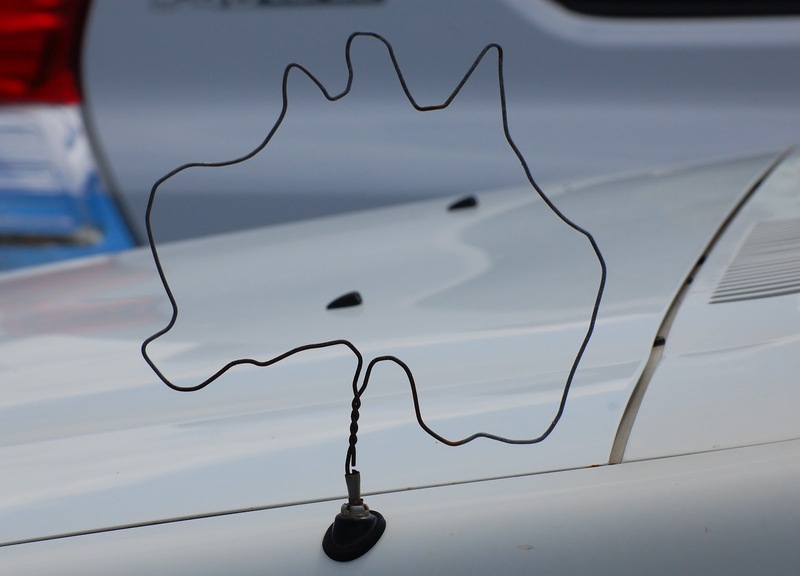 Just before we depart Australia, I will leave you with a look at a pretty good aftermarket radio aerial for this white workman's ute. It traces the national map quite faithfully, and I was careful to catch it oriented correctly. 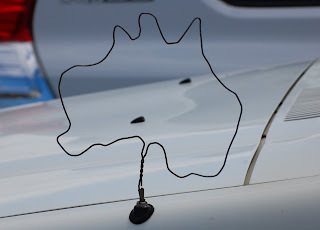 I'll bet it tunes Nova 969 without a hint of static.